I know I promised a daily post from our travels, but we just did not stop for a breath. Not that any of us were complaining! I can tell you that Brazilians really know how to take care of you. As many of you know, we arrived in São Paulo on the evening of the 15th. In my jet lagged state, I managed to give you some initial thoughts. What came after that was a whirlwind visit of which dreams are made. 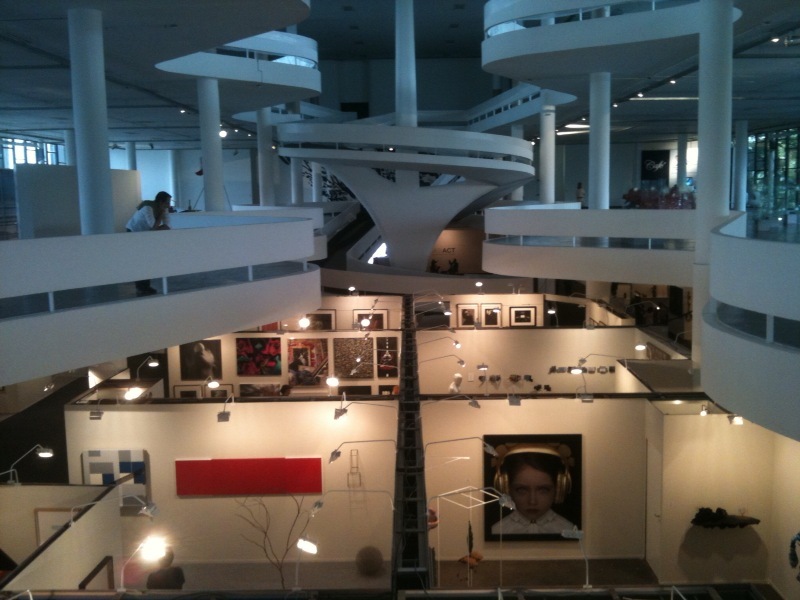 I’ll start with São Paulo where we went for a walkabout in our neighborhood of Jardims, to an incredible art fair in a lush green park, a stunning art museum, a piano recital in a beautifully restored and renovated building, two great restaurants for lunch and dinner, an ultramodern hotel that houses a bar with a view, an uber-hip art gallery, an art museum on stilt-like pillars, and I, by my lonesome, went to the wonderful Casa da Cultura Digital (this last space and people, to whom I spoke at length about their work and ours at Gawaahi.com, will get a post of their own). And that was all done in three days! 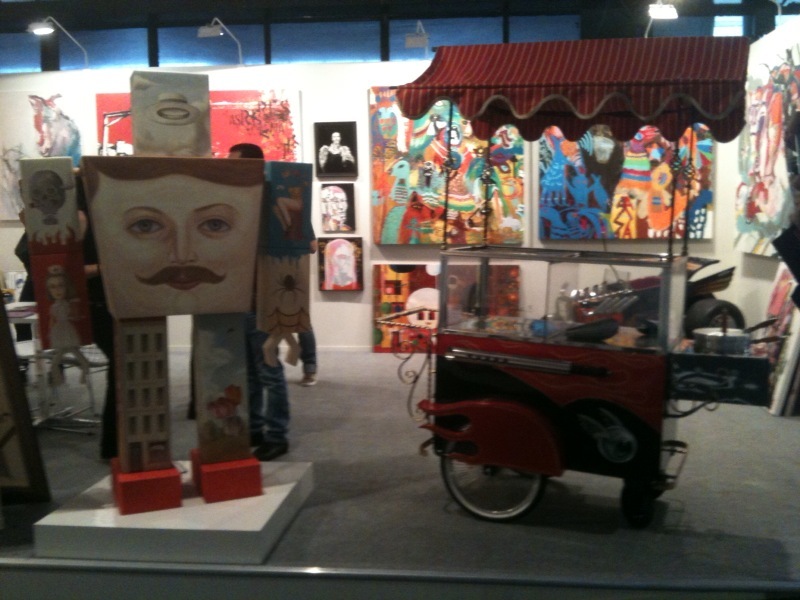 SP-Arte 2011, the art fair we visited in São Paulo is an annual commercial event, which was held this year in the space you see in these photographs I took with my phone camera. 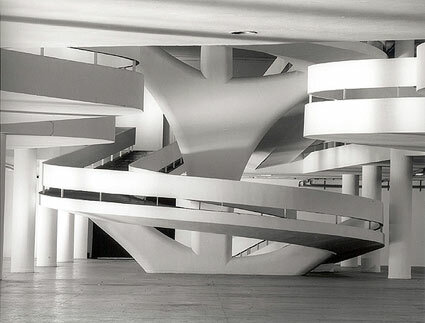 It is called the Pavilhão (Pavilion) Ciccillo Matarazzo, and is located in the lush Parque do Ibirapuera (Ibirapuera Park). 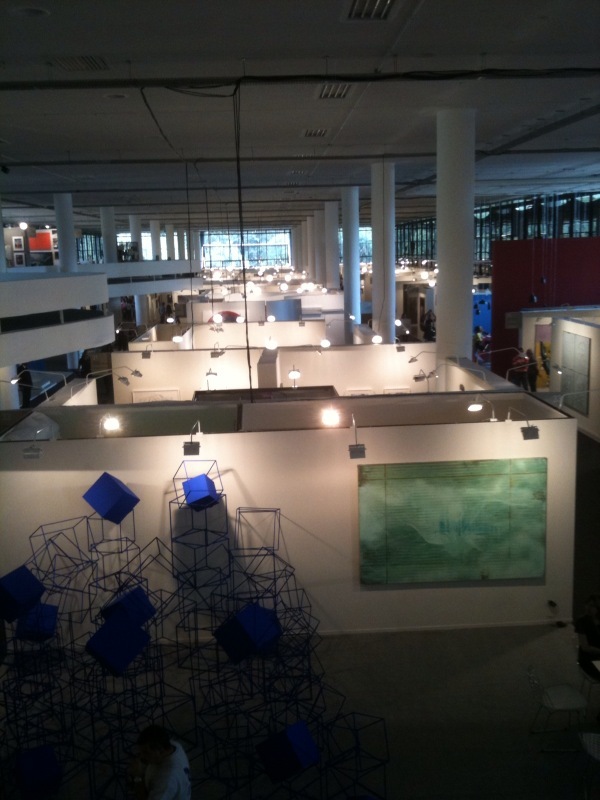 In this mammoth event, known to be the largest art fair in Latin America, 87 galleries participated, and 15 of those were international. I could not possibly show you even a small portion of the building and the work — a lot of pop art and op art (optical art) it carried, but I hope you can get some sense of the space through these pictures. Next we visited the Pinacoteca do Estado de Sao Paulo in the old city where they were exhibiting the work of contemporary Portuguese artist, Paula Rego. 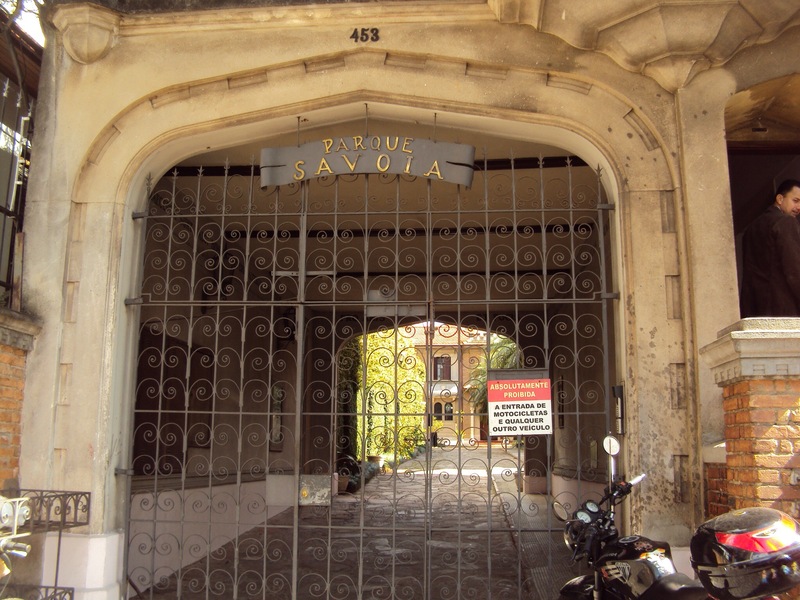 Pinacoteca — as it is informally known — was built in 1900, and used to be the secret police’s barracks in which dissidents were tortured. 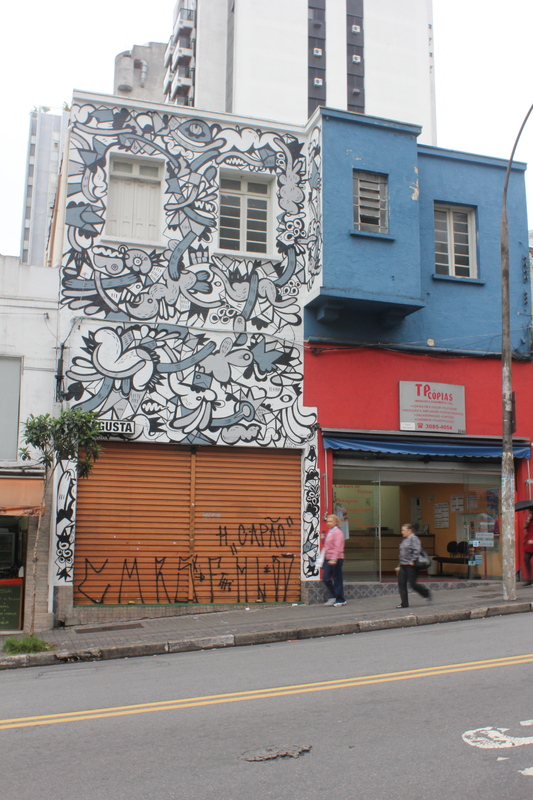 Fittingly (and I noticed a lot of that in Brazil — wrongs being put right through art and creativity), it has been converted to a beautiful gallery. Rego’s work was intensely disturbing, dealing with themes centered on women, abuse, sexuality, violence and the dysfunctionality of family. Next up was a visit to the Bar & Restaurant Skye at the Unique Hotel. 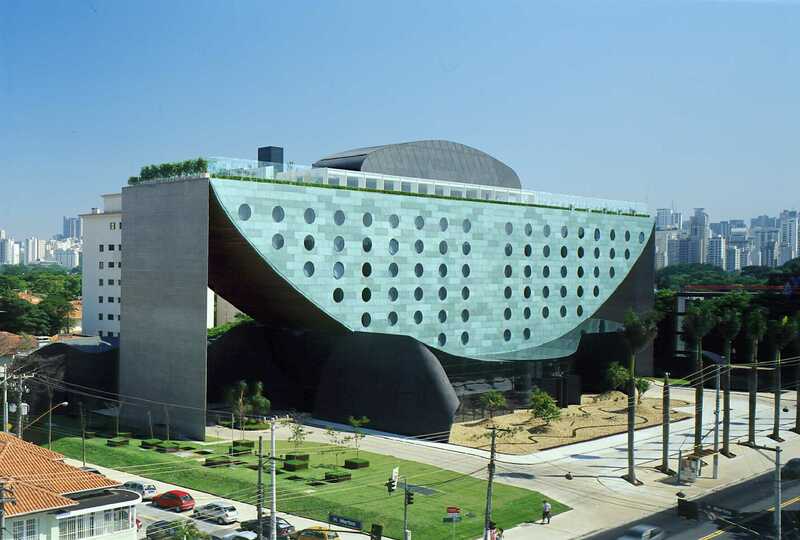 Meant to look like a cruise ship or a slice of a watermelon, the concrete, copper and wood building that stands on four pillars, making it appear to be hovering in the air — a recurring theme in Brazilian architecture — is designed by Ruy Ohtake, apprentice to Brazil’s foremost architect, Oscar Niemeyer. The Modernist Niemeyer’s work from the 1940s, 50s and 60s has been described as “infusing stark abstract forms with a beguiling tropical hedonism that reshaped Brazil’s identity in the popular imagination and mesmerized architects around the globe.” The interior is minimalist and expansive with exaggerated ceilings and doors, an endless foyer with the occasional seating arrangement and long, tall walls of glass. The rooftop restaurant has a stunning terrace along the length of which runs a dramatic red swimming pool, steam rising off its surface on the ten-degree winter night we visited. It has one of the most spectacular views of the city with its skyscrapers, high rise buildings and hillside villas. As an aside, I should mention that we noticed many teenagers hanging about the hotel, and it was only after we exited that we noticed a crowd of excited teeny boppers calling out for Miley Cyrus, who was apparently a guest at the hotel. 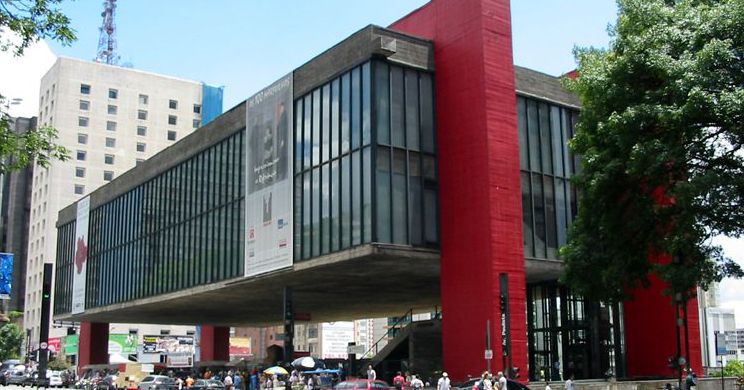 On our final day in the city of nearly 20 million, we were invited to the São Paulo Museum of Art or MASP (pronounced “MASPÉ”), where we were presented with a 3-book catalogue of the museum’s entire collection. Here our guide, Fernando Burjato (an artist himself) showed us the permanent collection, which boasts the works of many of the old masters. He explained that Brazil had acquired many of the paintings from Europe during and after the Second World War when it was possible for a poor country to buy the masterpieces. Later, many European countries attempted to buy back some of the work at huge profits, but the Brazilians, to whom art clearly means a great deal, were not interested in selling. Another interesting piece of information I discovered in my travels is that Brazil has been quite a haven for immigrants — the largest Japanese population outside of Japan; there are more Lebanese in Brazil than there are in Lebanon; a huge Italian community that emigrated in the 1920s after the war. Many, if not most, of these arrivals were in São Paulo. It is then not hard to understand why the city has a preoccupation with otherness. 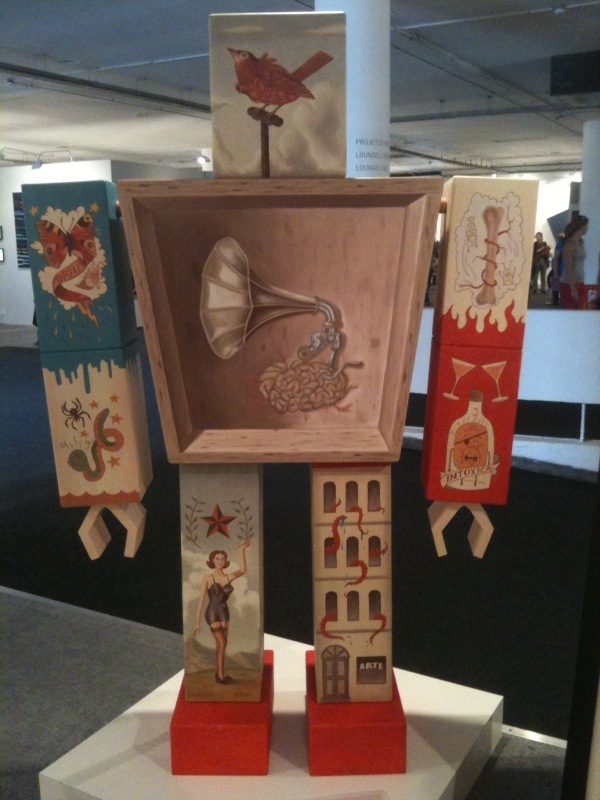 I found one manifestation of this at MASP, where I saw an exhibition titled 6 bilhões de Outros or Six billion Others. The video project that is created by Yann Arthus-Bertrand is on display at MASP till July 10, 2011. In the project, ‘5, 600 video portraits were recorded in 78 countries by reporters who traveled the world to meet the Others. […] all answered the same questions: “What did you learn from your parents? What do you wish to pass on to your children? What ordeals have you lived through? What does love mean to you?”’ Arthus-Bertrand says: “Today, the only way forward is to seek out the Other, to understand him.” I loved this idea, especially given what we are trying to do with Gawaahi.com. The exhibition consisted of eight tents each one with a different theme, meaning the participants of the video portraits were asked a similar line of questions. The tent/theme that intrigued me the most (not a great shocker if you have read my post from New York) was one that considered the meaning of progress. 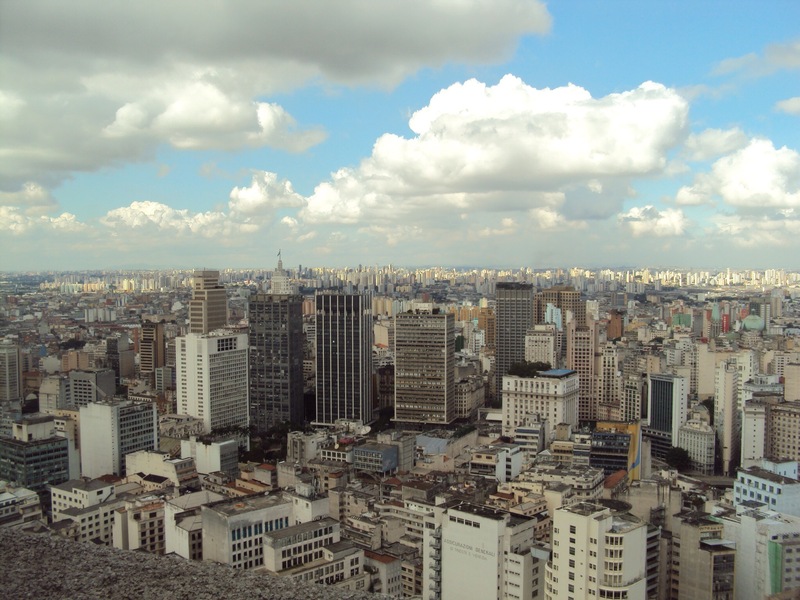 São Paulo is a city where one turn could potentially take you from the rainbow rows of townhouses in Jardims to the midtown-New-York-style Avenida Paulista to the Saddaresque downtown area. 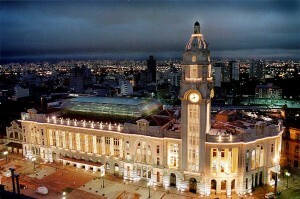 A question that my travel companions and I asked ourselves during our stay and as we left was: What is São Paulo? We searched for the one word that describes a city, the one feeling that it evokes, the one distinctive feature that is most memorable, or that distinguishes it from the other. 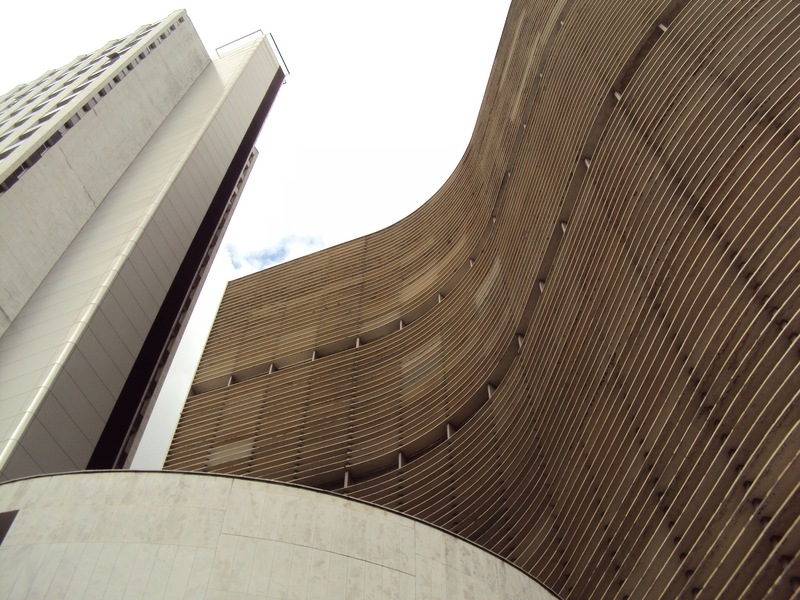 It’s a complicated city — São Paulo — a city that should not be so simply defined, I feel. For São Paulo is diversity. It is the modern within the old. It is exploring itself, questioning, rejecting, evolving, devolving. It is otherness. It is embracing the other. It is human. Put all of that to a Bossa Nova tune, and that is São Paulo. I don’t know if you remember but I once told you (commenting on your piece on Delhi) that you write some brilliant travelogues. Thanks for sharing such beautiful vivid memories from Sao Paulo & I can’t wait for all the other stories for Gawaahi. i know you have the quality of recreating a scene brilliantly, but this script is really exceptional. you have almost transported the reader to brazil. excellent travelogues. loved the post. 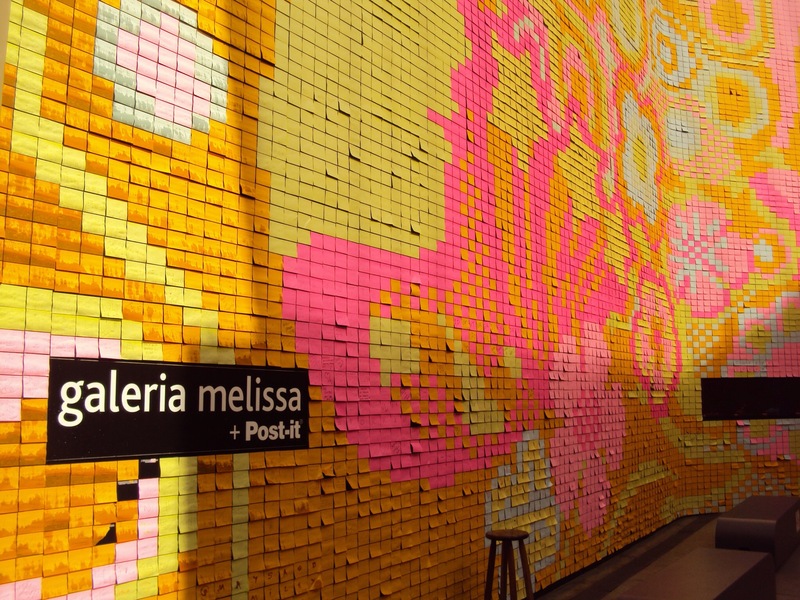 hope to check out the art museums and galleries in about 10 days or so!